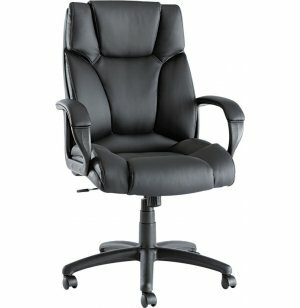 Nothing compares to the luxurious comfort and sleek professionalism that is projected by a black leather executive chair. 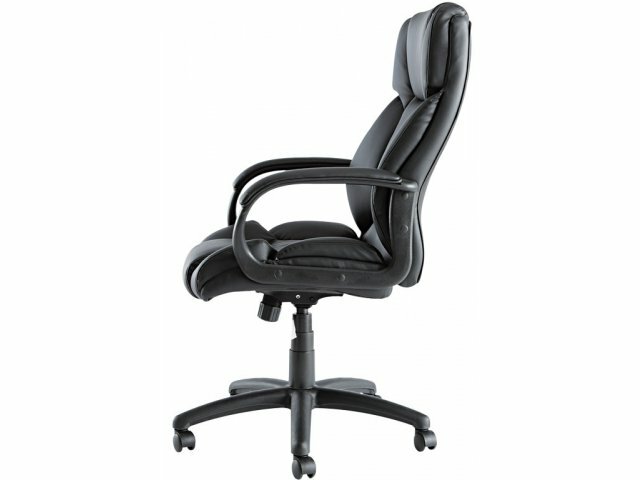 When you spend so many hours at work, you deserve the all-star treatment offered by the Fraze Executive Chair. The ultra-soft cushions, side bolsters and lumbar bolsters are enhanced by soft-touch, bonded leather upholstery for maximum support. A waterfall seat edge reduces pressure points at the back of the knees for improved circulation while a plush, thickly-padded headrest and armrests complete the full-body treatment. 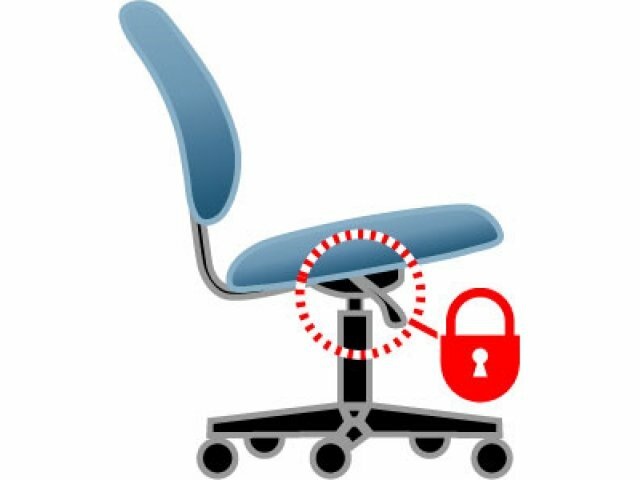 For a custom fit, this office chair also features pneumatic seat-height adjustment as well as locking tilt-tension control. 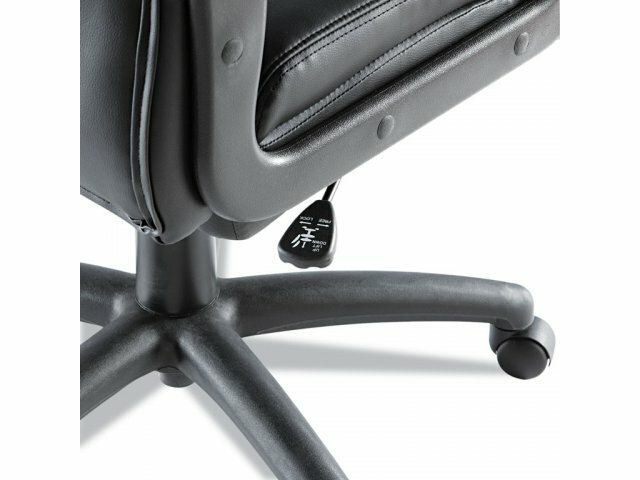 As excellent support is provided to your entire body, the Fraze Executive Chair will give your office an elegant and superior appeal that is sure to impress clients and colleagues alike. 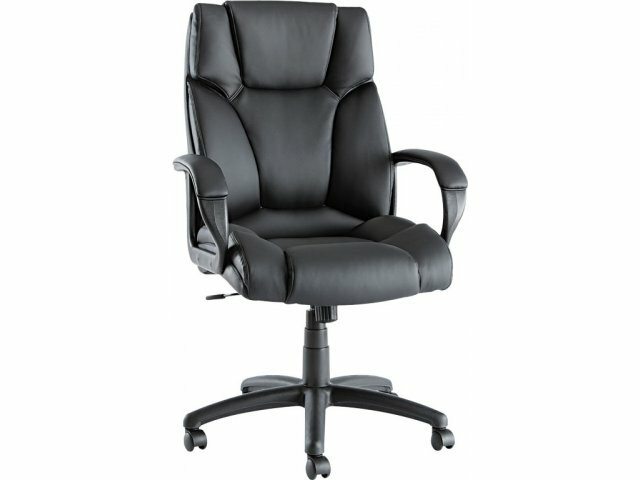 Luxurious Upholstery: Soft touch, bonded black leather upholstery exudes high-class professionalism. Cozy Cushioning: Ultra soft cushions, side bolsters and lumbar bolsters provide exceptional padding for your body. Superior Support: A plush thickly-padded headrest and armrests ensure that the whole body is properly cushioned. 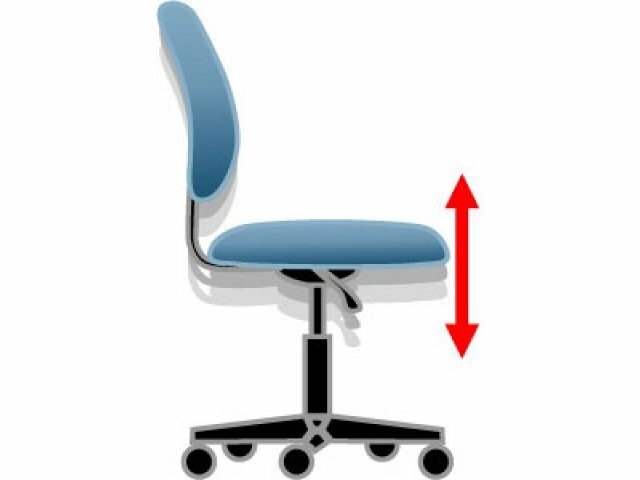 Pressure Reduction: The waterfall seat edge improves circulation by reducing pressure on the back of the knees. 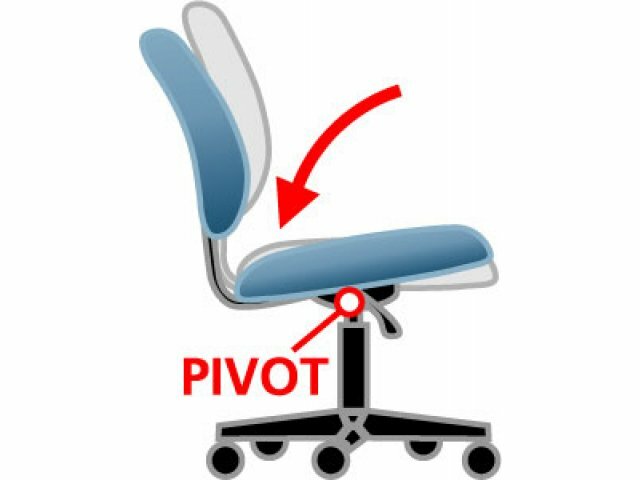 Personalized Configuration: Pneumatic seat-height adjustment and locking tilt-tension control accommodate various sizes and preferences.